Have you ever wondered what degree is needed to be a clinical psychologist? If you like learning what makes people tick and enjoy helping people sort out solutions to your problems, a career as a clinical psychologist might be ideal for you. It takes a lot of hard work, and you’ll spend a long time in school to become one. However, the job of a clinical psychologist pays well and provides fulfillment for those who enjoy helping others. 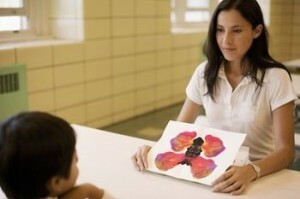 The first stop on the road to becoming a clinical psychologist is college. You’ll need a bachelor’s degree, and you probably should focus on psychology as your major. A second major in biology or social work can also be helpful as well. However, if you have already completed a bachelor’s degree in a field other than psychology, you may be able to get accepted into a master’s program for clinical psychology. Most clinical psychologists follow their bachelor’s degree with a two-year, full-time master’s degree program. In these programs, you can learn about a variety of clinical specialties. Some states allow individuals with master’s degrees in clinical psychology to become licensed practical counselors. Others require further education. If you plan on becoming a clinical psychologist, you should plan on completing a doctoral program. Ph.D. programs in clinical psychology are extremely competitive, so you should apply to several programs in order to get accepted. Internships and research projects completed in undergraduate and master’s programs often help applicants get into competitive doctoral programs. Some students with bachelor’s degrees in psychology will be accepted into fast-track doctoral programs during which a master’s degree is also attained. However, these programs are even more competitive than other Ph.D. psychology programs. There are several different schools of thought in clinical psychology as well as several different specializations. During your undergraduate and master’s level classes, you will be exposed to many of these, and this exposure will help you determine what specialization is best for you. You might choose to focus on marriage and family counseling, child psychology or forensic psychology. Most clinical psychologists participate in conducting research as well as in assessing and treating patients. The amount of research versus the amount of assessment or therapy depends on personal preference. Some psychologists prefer working with data and doing research while others prefer interacting with patients. Many clinical psychologists work as consultants for hospitals, nursing homes, schools, government organizations and other entities. After completing their own schooling, many psychologists also work as instructors in psychology programs at colleges and universities. For more information on careers in psychology, visit the American Psychological Association website. The road to becoming a clinical psychologist isn’t a short or easy one. However, the career is projected to continue growing considerably over the next decade. A career as a clinical psychologist can take on many different forms, so it works well for people with a variety of personal preferences. Now that you know what degree is needed to become a clinical psychologist, what preparations do you plan to make for your academic future?